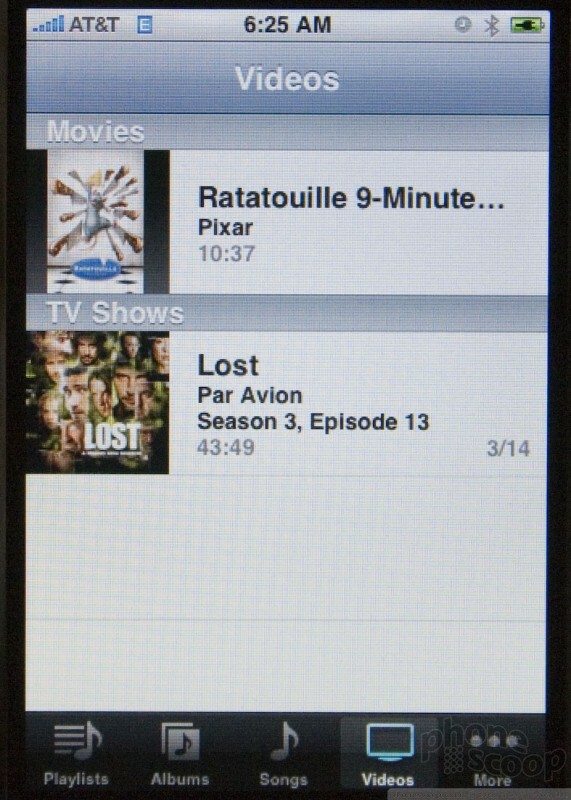 Even old iPod owners will need to get used the iPhone interface. It bears no resemblance to any player before it. That being said I watched two iPod users in addition to the Phone Scoop team - as well as two users who never owned an iPod - instantly grasp the system. 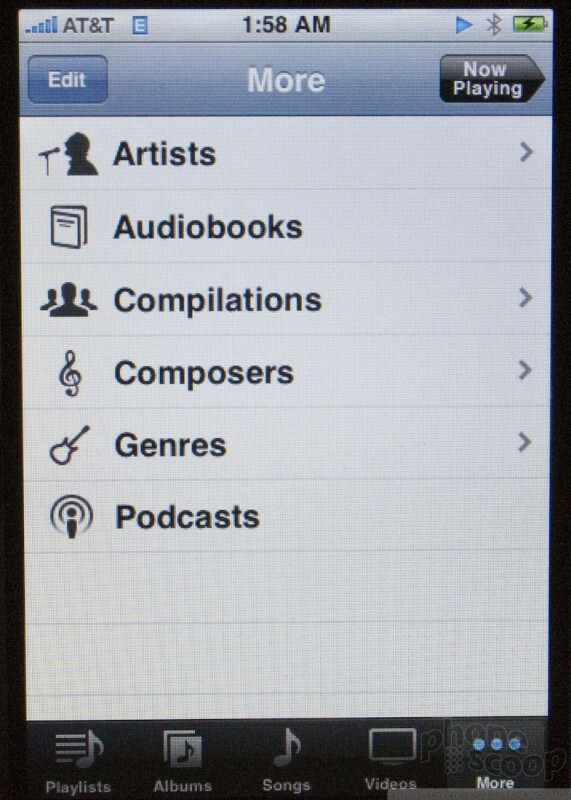 Although music can be sorted in any way that iTunes allows, it is most compelling to sort music by album or playlist. 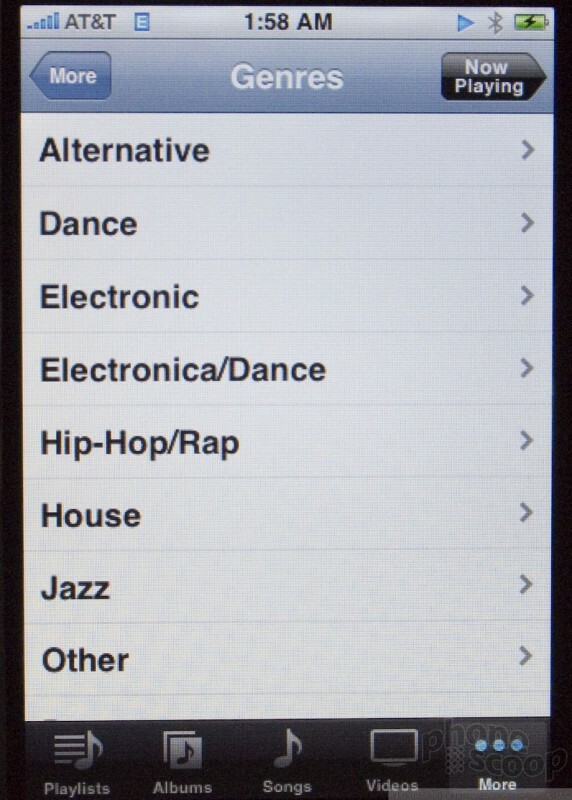 The iPod allows you to select 4 of your favorite ways to sort music as favorites at the bottom of the application. When held in portrait orientation, songs are sorted by your currently selected method in a list that you can flick through the same way you move through contacts or any other list. When you turn the iPhone sideways, you automatically enter coverflow mode, which sorts your music by artist name, then album. In coverflow mode, tapping on an album spins it around to reveal a track list, tapping a track starts it playing. In any of the list modes, tapping on a selection keeps pushing to the right, as it would on an iPod, and when you finally select a song, tapping it starts playback. 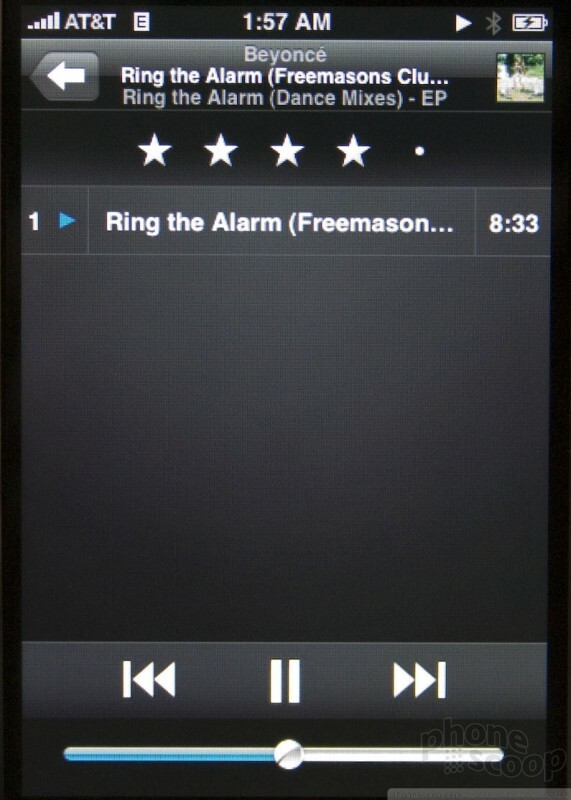 When playing back music, the main playback screen replaces the home screen as the one displayed when you wake the iPhone. You can control playback from the included headset, so you don't need to wake the iPhone too often. Clicking the answer button on the headphones once pauses or resumes play, while clicking it twice skips to the next track quickly. 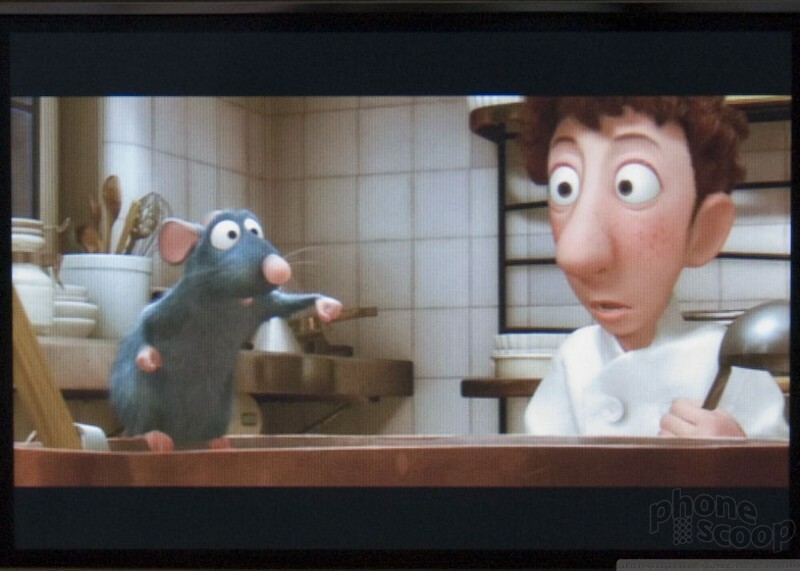 Playing back video on the iPhone is normally a smooth and quite a pleasant experience. 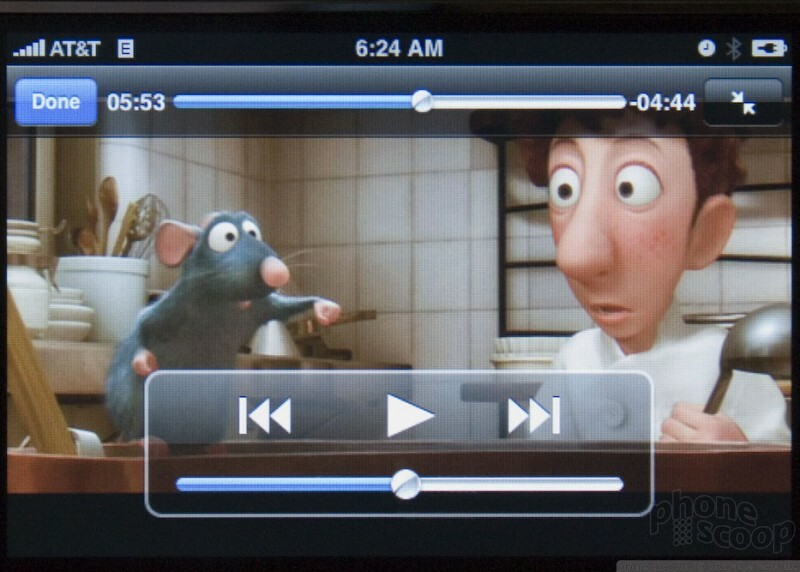 However we did notice a bug where the iPhone will sync videos to the iPhone from iTunes even if they aren't encoded in H.264. These videos can't be played back at all, which creates some frustration. The iPhone also gets noticeably warm after playing videos for an extended period of time, especially if it's doing other things like fetching your mail and other tasks in the background. It's not warm enough to scare you, but it is warm enough to make your hands happy on a chilly day.